HP has announced its next-gen Windows Mixed Reality headset. Dubbed the HP Reverb, the device boasts the highest resolution on the platform to date combined with impressive ergonomic refinement that could put at at the top of the WMR pile in 2019. 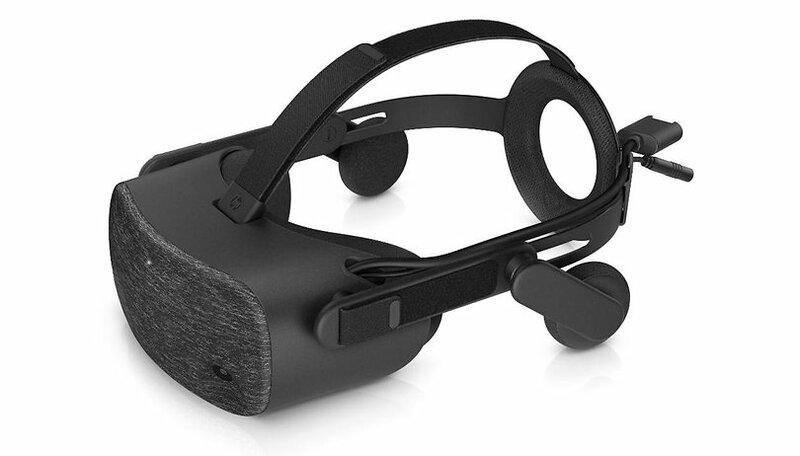 This new PC-connected VR headset incorporates dual 2.89'' LCD panels and Fresnel-Aspherical lenses in the display and boasts an impressive 2160 x 2160 per eye resolution, i.e. 4K resolution at 4320 x 2160. It’s got a 114-degree field of view and, like other Windows Mixed Reality headsets, integrates display-mounted cameras for inside-out tracking and two WMR controllers. Additional features include removable headphones and built-in mic. Windows Mixed Reality headsets are a slowly growing minority in the Oculus and Vive dominated VR market but high quality headsets like the Samsung Odyssey+ make it a more viable option for high-end VR gaming. The HP Reverb beats even Samsung's latest and the mighty HTC Vive Pro when it comes to screen resolution and visual clarity, and looks to have some extra winning design elements, not least of which is the total weight of just over one pound (not including cable). HP is launching two versions of the Reverb VR headset in April. The consumer model is $599, but there will also be a commercial version for $649 that comes with an optional cable for backpack PCs, a leather face cushion, and an extended warranty. With new announcements from Oculus around the corner and the HTC Vive Cosmos also incoming, it's good to see that there will continue to be high-end headsets for Windows Mixed Reality. The HP Reverb, thanks to its impressive resolution and light weight, could well end up being the VR insider's recommendation for 2019. Are you looking to buy a VR headset or upgrade yours this year? Which ones do you have your eye on?